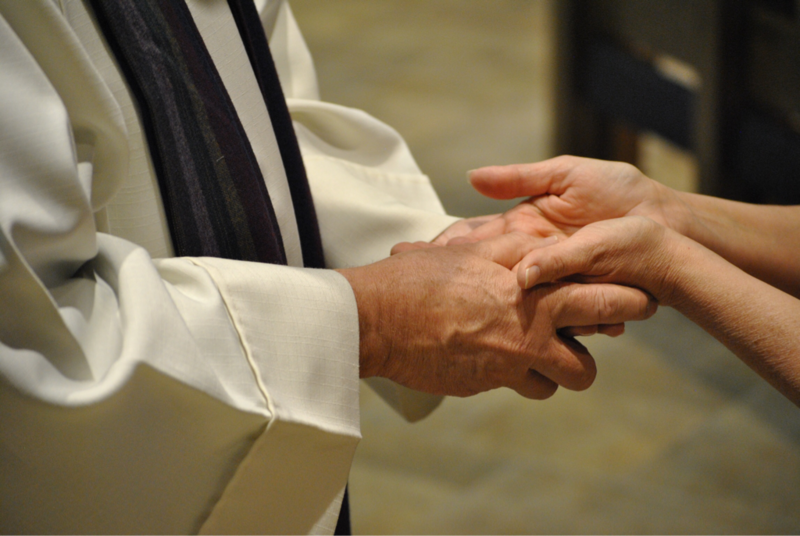 The Anointing of the Sick, one of the two sacraments of healing, may be celebrated any time a person desires healing. Prior to surgeries, after diagnoses, and any time an illness takes a turn for the worse, this sacrament can bring great peace through prayers and the administration of blessed oil. Often, The Anointing of the Sick is mistaken for Last Rites. Last Rites are normally administered in imminent danger of death and include confession, anointing, and communion. At St. Helen, we celebrate this sacrament three times per year during the regular weekend masses. You may also make arrangements with a priest to have the sacrament done after a diagnosis, prior to surgeries or treatments, and in danger of death. Please call the parish office for assistance at 937.254.6233.